2012 marks the spot for the return of one of the most applauded and loudest bass music record labels in the world, Valve Recordings. Captained by Dillinja and K-aze (Lemonde’s all-new multi-genre production project pseudonym), Valve gets ready to release a whole host of beats from the full spectrum of electronic music including D&B, dubstep, grime, garage, house and footwork. 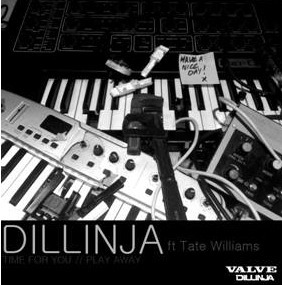 First up is Dillinja, who’s been immersed in the studio the past year honing his trademark sounds for the digital generation. His track, ‘Time For You’, draws on the silky vocals of Tate Williams and smooth pads for an intro that lulls us into the onslaught that waits in store. Hefty kicks then signal a drop into some heinous distorted bass and clattering breaks that wreak of the Dillinja ingenuity. His other track, ‘Play Away’, sees him opting for a more simple two-step break approach and an electro-bass riff that could in your head for days after. More shining vocals from Williams keep this moving for possibly one of most catchy slices of D&B you’re likely to hear in 2012. 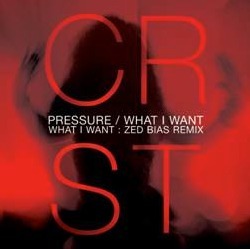 Next up is C*R*S*T, a four-piece garage/broken beat crew from Wales, who with a host of high profile beats in their bag already, including a massive remix of Herve’s ‘Together’, have built up a serious following over the past couple of years with massive support from the likes of Rinse FM. Now they’re ready to lift things up a level for 2012 with first track ‘Pressure’, which doesn’t hang about, dropping directly into some hefty 4/4 groove ‘n’ bass that’s ready to transform the Valve Sound System into a thumping air canon. Dark chopped vocals and raved-up synths drop in amongst it as you’re carried away in this gurning head-nodder. Moving on with ‘What I Want’ and you’re immediately taken back to the garage golden era with vintage vibes all round as the classic syncopated shuffle break drives from the off all the way through. Delicate key stabs, a smooth descending b-line, and vocals courtesy of Jessy Allen are cut up to perfection to produce a great slice of retro UKG.